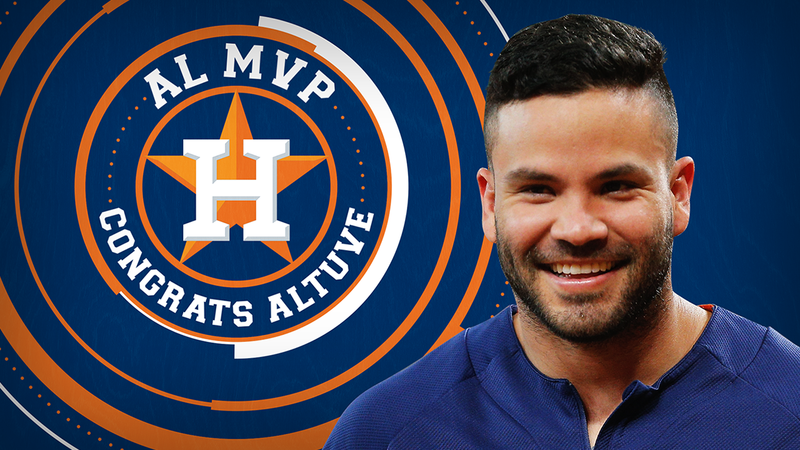 The Houston Astros second baseman and 2017 AL MVP, Jose Altuve, was recently on the disabled list. Before returning to the Astros lineup, Jose played one game with the Astros Pacific Coast League AAA team, the Fresno Grizzlies. In the rehab game Altuve was one for three, and that was good enough for him to rejoin the major league team and return to the lineup two days later. 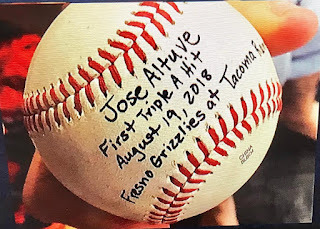 Because this was the first time in his career to play a game in AAA baseball, Altuve actually asked for the ball to keep it as a memento of his first hit as a triple A player. So, this must be a first in Major League Baseball history for a player to win an MVP award [and a World Championship] before he gets his first hit in the minor league AAA baseball.